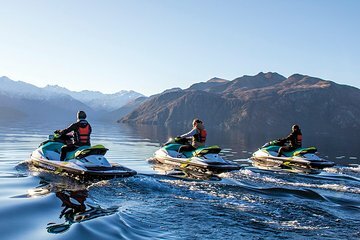 Explore scenic Lake Wanaka, New Zealand’s fourth-largest lake, aboard a state-of-the-art Sea-Doo jet ski. Led by an experienced guide, admire the surrounding islands, bays, and alpine scenery. Each watercraft holds two people and no prior jet skiing experience is necessary. Learn more about this picturesque ecosystem while also enjoying an adrenaline rush.